Are ‘free-from’ (gluten, GMO) food labels informative—or misleading? The explosive growth of cable television and more recently of the Internet has led to a celebrication of everyday life—Hollywood has invaded our homes in an oddly intimate way. Celebrities have long weighed in on public issues, which is okay if the issue is what clothes to wear next season, but science is different: it actually can impact people’s lives. If “Big Bang” star Mayim Bialik talks about Zika’s impact on the brain, we might be interested because she has a PhD in neurosurgery—she has genuine credentials. But science-educated stars are few and far between. For example, campaigns led by Robert Kennedy, Jr., reality TV star Jenny McCarthy and her former husband Jim Carrey and flip comments by Bill Maher have convinced a lot of credulous fans to forgo getting their kids vaccinated— the lowest vaccination rates in the country are in the swanky Hollywood suburban playgrounds. And that’s just one of many misguided celebrity-driven campaigns. While some people wisely ignore celebrity advice, their ill-informed and selectively ignorant comments can sway public opinion in destructive ways. That’s what’s happening in the ongoing debate over our food and farming systems. In the last few years, movies such as ‘Consumed’ and ‘GMO OMG’ have fueled misperceptions about genetic engineering. And celebrity chefs such as Tom Colicchio have joined the fray, partnering with other anti-GMO chefs in a Facebook page, Chefs Against GMOs, and making appeals in Washington and on TV shows. 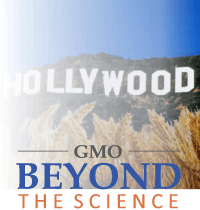 But Hollywood is where anti-GMO groups draw their most visible campaigners. A slew of Hollywood celebrities, have lent their names to one anti-GMO or pro-labeling campaign or another, among them a fading generation of actors and musicians: Morgan Freeman, Paul McCartney, Dave Mathews, Danny DeVito, Woody Harrelson and Neil Young, to name just a few. But there are some younger faces who have lobbied hard against modern agriculture, mostly B-list actresses, with Gwyneth Paltrow the most prominent. They rail against GMOs in an effort to persuade consumers our food system is hopelessly broken, and that crop biotechnology is scary, unnatural and part of a corporate conspiracy to control the world’s food supply. It’s easily dismissible nonsense to those who know the consensus science, but their distortions have consequences outside of clickbait headlines. Paltrow has emerged as the face of the anti-GMO movement over the last few years. It’s unclear exactly how or why she decided to take up this cause except that she has worked closely with one of the most powerful figures in the organic movement, Gary Hirshberg, founder of Stonyfield Organic, who also started Just Label It, which has campaigned for mandatory labels. Just Label it and the organic industry in general have spent hundreds of millions of dollars in recent years to demonize conventional agriculture and mislead consumers into thinking organic food is healthier, safer and more nutritious than conventional food. 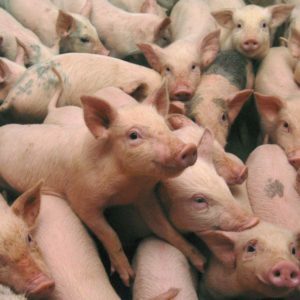 Although state-of-the-art meta studies conclude there are no meaningful differences, and some research shows organic farming is more stressful on the environment than farming using advanced technology including genetically engineered crops, organic companies peddle that narrative in hopes of driving consumers toward their pricier products. As the self-appointed priestess of all that is healthy and good in the world, Paltrow promotes organic food, which is by definition non-GMO. I’m not here as an expert, I’m here as a mom who honestly believes I have the right to know what’s in the food I feed my family. And we don’t even know, the science is still inconclusive about GMOs, there are arguments they could possibly be harmful and there are arguments that they could be incredibly beneficial. But at this point, we just don’t know. The presser echoed widely on social media, but most disturbingly, her comments were reported uncritically by major media sites, giving her credibility on an issue she did not deserve. Here is where Paltrow is wrong. We do know that GMOs are safe. They hold tremendous potential and promise to alleviate global hunger now and into the future as food demands are expected to nearly double by 2050.Nearly every major independent scientific organization and governmental agency in the world, including most recently the National Academies of Sciences, Engineering and Medicine (NAS), have affirmed that genetically engineered crops and food are just as healthy and environmentally safe as other conventionally grown foods, including organic. American farmers have been using genetically modified seeds for 20 years and most of the corn, soy, cotton and sugarbeets grown are from those seeds. This has cut down on the use of pesticides (since some of those crops have been developed to include natural pesticides already used by organic farmers), which has reduced crop losses and increased yield, a huge boon to both farmers and consumers. 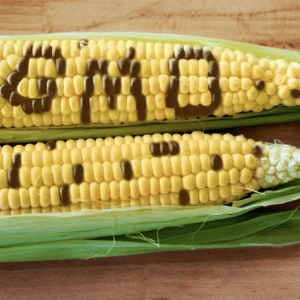 In its analysis of the GMO controversy, the NAS also noted several problems with mandatory labeling, such as higher costs to consumers and the probability that companies might eliminate genetically engineered ingredients in order to avoid labels. The report also outlined several crops that can only be achieved through genetic engineering that boost nutrients, withstand climate challenges and resist crop diseases. Promising new crops in the pipeline include nutritionally enhanced rice and bananas and disease-resistant cassava, a plant that hundreds of millions depend on every day. So, it’s galling for an ultra-rich celebrity to spread falsehoods about a technology that can feed and fortify the diets of hundreds of millions of poor people around the world. Related article: Are shrooms the new pesticide? That wasn’t the last we heard from Paltrow. In April 2016, she made a brief cameo in a video sponsored by Just Label It (with Hirshberg taking a star turn) entitled “GMO Transparency in the Real World.” A harried mother attempts to use her smart phone to scan a QR code on a can of soup to see if the soup contains GMOs (QR codes are anathema to the pro-GMO labeling crowd). As she stumbles to use her smart phone, and her kids smash a watermelon in the aisle, a fresh-faced Paltrow appears from the dairy aisle, asking the distraught mom if she has a scanner on her smart phone that she could use. These actresses are now part of a coordinated, calculated attack on American agriculture and an attempt to stop millions of farmers from using technological tools necessary for their livelihood and America’s food security. They are part of a destructive campaign to hurt American farmers and our overall agricultural and food system. 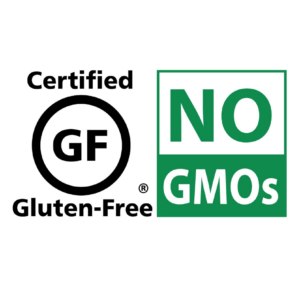 Labeling GMOs was never the end goal for us. It was a tactic. Labels make it easier for shoppers to make healthier non-GMO choices. When enough people avoid GMOs, food companies rush to eliminate them. Labeling can speed up that tipping point—but only if consumers are motivated to use labels to avoid GMOs. Actor and ‘progressive’ environmental activist Mark Ruffalo, who does not have a college education, has embraced any number of controversial causes, from fracking to GMOs, where the science is contested. He became a rock star in the anti-GMO community, even confronting Monsanto CEO Hugh Grant in a CBS green room rant before a joint TV appearance and later bragging about it. He has more than 2 million followers on Twitter—that’s scary. 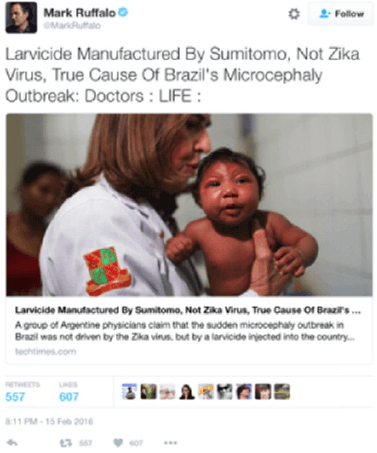 His obsession to demonize genetic engineering took a bizarre turn earlier this year when he started tweeting that the Zika virus was caused by a chemical manufactured by an obscure Japanese company that has a research pact with Monsanto, the bete noire of anti-GMO activists. By doing so, he deflects attention from what experts now say is the only feasible solution to containing Zika—the release of genetically engineered sterile mosquitoes to drive out the poison-carrying ones. Many celebrity chefs have taken up the anti-GMO crusade, apparently believing their ability to run a restaurant or cook on television gives them special insight into how food is grown on a farm. Tom Colicchio, the star of Bravo’s Top Chef program, gathered signatures of more than 4,000 chefs on a petition he delivered to Capitol Hill in March 2016 demanding mandatory GMO labels and rejecting a Senate bill that would have made the labels voluntary. He claims he only supports the “right to know.” But his twitter feed is filled with anti-GMO propaganda and like most activists in the GMO labeling movement, he is also broadly against the technology. 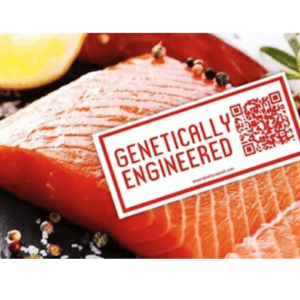 In a December 2015 op-ed in the New York Times entitled, “Are you eating Frankenfish?” Colicchio warned readers that the newly approved GE fast-growing salmon could escape enclosed tanks and “endanger native species”—claims multiple US and Canadian regulators have reviewed and rejected as untrue. Colicchio has also come out in opposition to insect-resistant eggplant, grown with government developed seeds distributed free to farmers in Bangladesh, which has reduced the spraying of dangerous chemicals by 85 percent. Why are celebrities getting so much traction in their campaign against GMOs? They are filling an information void left by the scientific and agricultural communities. Scientists are reluctant to engage the public, either out of trepidation or arrogance, convinced that “science will win” the day. Infighting has plagued the science communications effort as leaders dispute the best way to fight misinformation from people like Paltrow and Ruffalo. Some want to take a submissive approach and others want to fight fire with fire. The agricultural community and companies that benefit from genetic engineering aren’t standing up to defend the technology, either. 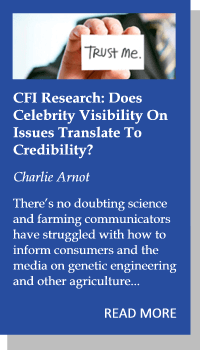 While science and farming communicators struggle with how to best educate consumers and the media, organic executives and celebrities are defining the narrative on GMOs. This is not without serious ramifications if we turn away from genetically modified crops. Food prices will rise and farmers will be forced to use more insecticide and more toxic herbicides. It’s wonderful to celebrate the performances of TV, movie and music celebrities, but their opinions on science issues are no more relevant now than they were when they were waiting tables in Hollywood and Nashville looking for a break. Hit the mute button when they start opining on serious policy issues that have considerable consequences for vulnerable people around the world. Julie Kelly is a cooking instructor, food writer, blogger and mother of two who lives in the Chicago area. In 2015, she got passionate about GMOs. 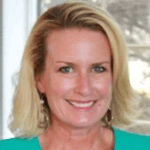 Kelly is a contributing writer to the Wall Street Journal, National Review, Huffington Post and other media outlets.